The International Cricket Council (ICC) today confirmed the squads which will be taking part in the upcoming ICC Champions Trophy which will be staged in the United Kingdom from 1-18 June. While a number of players will be returning to this short and sharp tournament, Pakistan’s Shoaib Malik stands out as he has been selected for his sixth successive tournament. Only eight other players have played in six ICC Champions Trophy tournaments. They are: Ricky Ponting (Australia), Rahul Dravid (India), Daniel Vettori (New Zealand), Mark Boucher and Jacques Kallis (both South Africa) and Sanath Jayasuriya, Mahela Jayawardena and Kumar Sangakkara (all Sri Lanka). The Champions Trophy is one of the most important events for Pakistan in recent times for a number of reasons - Shoaib Malik. Shoaib made his tournament debut in the Colombo event in 2002 and then went on to play in the 2004 and 2013 events in the United Kingdom, the 2006 event in India and the 2009 tournament in South Africa. The 35-year-old has scored 326 runs and taken 10 wickets in 15 ICC Champions Trophy appearances, and since he has played in 247 ODIs, will be aiming to become the 42nd player overall to play in 250 or more ODIs when he takes the field in the third match against Sri Lanka in Cardiff on 12 June. “I am happy to be part of the Pakistan squad in a quality event like the ICC Champions Trophy,” Shoaib said. “If I look at the company of players who have played in the six events to date, I feel humbled and honoured as these gentlemen are some of the finest our sport has ever seen. “The Champions Trophy is one of the most important events for Pakistan in recent times for a number of reasons. As the ODI squad, we need to re-establish ourselves as one of the top ODI sides by putting up strong performances against all teams. This will help our global ranking and help us to qualify for the ICC Cricket World Cup 2019. Strong performances are also important to boost the morale of our team and millions of well-wishers back home and around the world. The game has changed since Yuvraj padded up all those years ago. He was then the most fleet-footed among Indian fielders, the harbinger of a new generation. While it will be Shoaib’s sixth appearance, India’s Yuvraj Singh will be returning to this competition after 11 years. Yuvraj made his debut in the 2002 event in Kenya and featured in all events until 2006, before missing the 2009 and 2013 events. “I am delighted to be returning to the India side for the 50-over ICC tournament and look forward to making a meaningful contribution as the side aims to defend its title,” Yuvraj said. “The United Kingdom is an excellent location to host the ICC Champions Trophy. We have always felt at home away from home due to the overwhelming support we always receive there. Australia captain Steve Smith has been selected for his maiden ICC Champions Trophy in a squad which has Glenn Maxwell, Mitchell Starc, Matthew Wade and David Warner from the 2013 tournament. During the upcoming tournament, Maxwell will be targeting 2,000 ODI runs (he is 43 short), while Warner requires 54 runs to complete 4,000 runs in ODIs. The squad selected for this premier competition is a blend of experience and youth - Mashrafe Mortaza. Bangladesh, which reached the ICC Cricket World Cup quarter-final in Australia/New Zealand in 2015, includes Mashrafe Mortaza and Shakib Al Hasan who both played in the 2006 event, which was the Asian side’s last ICC Champions Trophy participation. Mashrafe will captain the side, while Shakib will start as the world’s number-one ranked all-rounder. Mashrafe said: “We are delighted to be returning to the ICC Champions Trophy on merit and the squad selected for this premier competition is a blend of experience and youth. We have recently played good international cricket and will aim to raise the bar of performance in the United Kingdom. We know like any other ICC event, the ICC Champions Trophy is a tough competition where you have to be at the top of your game every time you step onto the field. “Shakib and I were part of the squad in 2006 and it is great to be returning to this competition where experience counts a lot. Shakib is the world’s best all-rounder and his presence, along with Mushfiqur Rahim and Tamim Iqbal, just lifts the confidence in the entire dressing room. England, which reached the final on both the occasions when it hosted the event in 2004 and 2013, has retained five players from the previous tournament - Jonny Bairstow, Jos Buttler, Eoin Morgan, Joe Root and Chris Woakes. Morgan is also the only England player who featured in the 2009 event in South Africa. England is presently ranked fifth in the MRF Tyres ICC ODI Team Rankings. India has retained eight players from the successful team of 2013, namely Virat Kohli, who will captain India for the first time in a major ICC event, Ravichandran Ashwin, Shikhar Dhawan, Mahendra Singh Dhoni, Ravindra Jadeja, Bhuvneshwar Kumar, Rohit Sharma and Umesh Yadav. Jadeja won the player of the final at Edgbaston four years ago following his 33 not out and two for 24 in a rain-reduced final, while Dhawan won the player of the tournament award for finishing as the lead run-scorer with 363 runs in five matches with two centuries and a half-century. For Mahendra Singh Dhoni, it will be his fourth appearance. New Zealand has retained seven players from the 2013 event, namely Trent Boult, Martin Guptill, Mitchell McClenaghan, Luke Ronchi, Tim Southee, Ross Taylor and captain Kane Williamson. Guptill and Taylor were also members of the New Zealand side which reached the final in 2009. New Zealand is presently ranked third in the MRF Tyres ICC ODI Team Rankings. 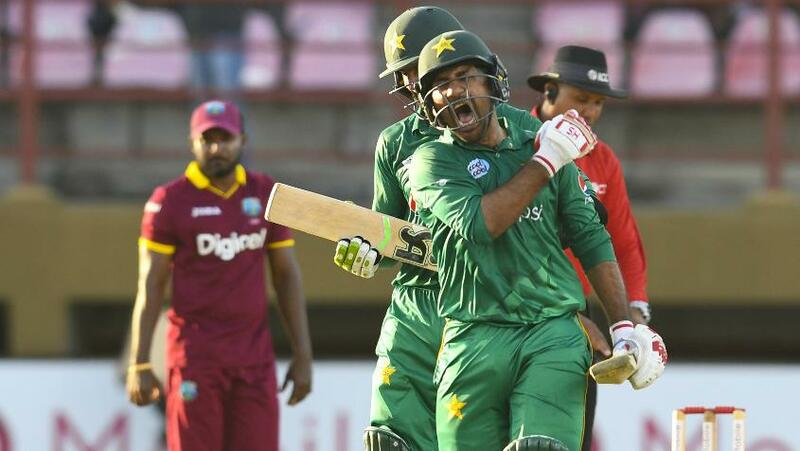 Pakistan captain Sarfraz Ahmed is one of the nine Pakistan players who will be making their ICC Champions Trophy debuts. While Shoaib will feature in his sixth event, Mohammad Hafeez will play in his third tournament. The other survivors from the 2013 event are Junaid Khan, Umar Akmal and Wahab Riaz, while Mohammad Amir played in the 2009 edition. Pakistan is currently eighth in the MRF Tyres ICC ODI Team Rankings. South Africa, which is the number-one side in the MRF Tyres ICC ODI Team Rankings, has retained seven players from the last edition. They are captain AB de Villiers, Hashim Amla, Farhan Behardien, JP Duminy, Faf du Plessis, David Miller and Morne Morkel. For de Villiers, it will be the fourth tournament, while du Plessis will be aiming to complete 4,000 runs in ODIs as he is currently 57 runs short. The Sri Lanka side includes six players from the 2013 campaign, namely captain Angelo Mathews, Dinesh Chandimal, Nuwan Kulasekera, Lasith Malinga, Kusal Perera and Thisara Perera. For Lasith Malinga, this will be his fourth ICC Champions Trophy and he needs nine wickets to complete 300 ODI wickets. For Malinga, this will be his fourth ICC Champions Trophy and he needs nine wickets to become the 13th overall and third Sri Lankan after Muttiah Muralidaran (534) and Chaminda Vaas (400) to complete 300 ODI wickets. Malinga said: “I am excited to be returning to ODI cricket since November 2015 and there is no better event than the ICC Champions Trophy in the United Kingdom to stage that comeback. It is an event I have not missed since 2006, have really enjoyed every edition of it and look forward to further successes in June. Teams can make changes to their squads without needing an ICC approval until 24 May. All player replacement requests from 25 May onwards will require the approval of the Event Technical Committee. 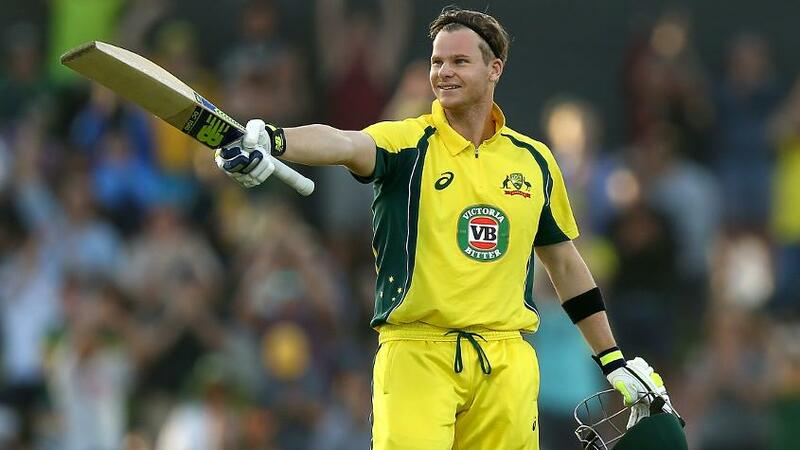 Australia captain Steve Smith has been selected for his maiden ICC Champions Trophy. AUSTRALIA: Steve Smith (captain), David Warner, Pat Cummins, Aaron Finch, John Hastings, Josh Hazlewood, Travis Head, Moises Henriques, Chris Lynn, Glenn Maxwell, James Pattinson, Mitchell Starc, Marcus Stoinis, Matthew Wade and Adam Zampa. BANGLADESH: Masrafe Mortaza (captain), Imrul Kayes, Mahmudullah, Mehedi Hasan Miraj, Mosaddek Hossain, Mushfiqur Rahim, Mustafizur Rahman, Rubel Hossain, Sanjamul Islam, Sabbir Rahman, Shafiul Islam, Shakib Al Hasan, Soumya Sarker, Tamim Iqbal and Taskin Ahmed. ENGLAND: Eoin Morgan (captain), Moeen Ali, Jonny Bairstow, Jake Ball, Sam Billings, Jos Buttler, Alex Hales, Liam Plunkett, Adil Rashid, Joe Root, Jason Roy, Ben Stokes, David Willey, Chris Woakes and Mark Wood. INDIA: Virat Kohli (captain), Ravichandran Ashwin, Jasprit Bumrah, Shikhar Dhawan, Mahendra Singh Dhoni, Ravindra Jadeja, Kedar Jadhav, Dinesh Karthik, Bhuvneshwar Kumar, Hardik Pandya, Ajinkya Rahane, Mohammad Shami, Rohit Sharma, Yuvraj Singh and Umesh Yadav. NEW ZEALAND: Kane Williamson (captain), Corey Anderson, Trent Boult, Neil Broom, Colin de Grandhomme, Martin Guptill, Tom Latham, Mitchell McClenaghan, Adam Milne, Jimmy Neesham, Jeetan Patel, Luke Ronchi, Mitchell Santner, Tim Southee and Ross Taylor. 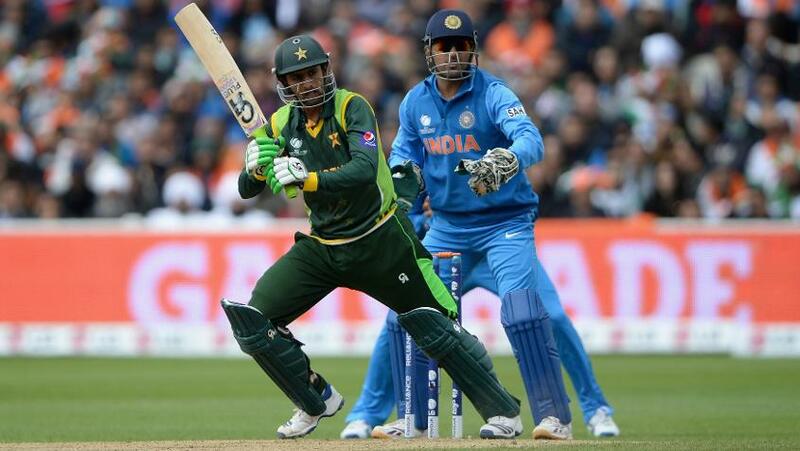 Sarfraz Ahmed, the skipper, is one of the nine Pakistan players who will be making their ICC Champions Trophy debuts. PAKISTAN: Sarfraz Ahmad (captain), Ahmad Shahzad, Azhar Ali, Babar Azam, Fahim Ashraf, Fakhar Zaman, Haris Sohail, Hassan Ali, Imad Wasim, Junaid Khan, Mohammad Amir, Mohammad Hafeez, Shadab Khan, Shoaib Malik and Wahab Riaz. SOUTH AFRICA: AB de Villiers (captain), Hashim Amla, Farhaan Behardien, JP Duminy, Quinton de Kock, Faf du Plessis, Keshav Maharaj, David Miller, Morne Morkel, Chris Morris, Wayne Parnell, Andile Phehlukwayo, Dwaine Pretorius, Kagiso Rabada and Imran Tahir. SRI LANKA: Angelo Mathews (captain), Dinesh Chandimal, Niroshan Dickwella, Asela Gunaratne, Chamara Kapugedera, Nuwan Kulasekera, Suranga Lakmal, Lasith Malinga, Kusal Mendis, Nuwan Pradeep, Seekkuge Prasanna, Kusal Perera, Thisara Perera, Lakshan Sandakan and Upul Tharanga.